She might say she doesn't need anything, but you know better and still want to spoil her on May 14th. With advice from our own Mothers (they do know best), we chose special items that are sure to bring a smile to her face. To make your life a little easier, we'll wrap, ship, and include a personalized note to Mom. On us! When you arrive with the perfect flowers, make sure she has the perfect vase. Molded directly from strawberry branches, this porcelain vase has a beautiful textured matte finish on the outside, making this affordable piece feel extra luxe. Vase made of soft white porcelain, outer surface with a matte texture, inner gloss glaze. A GOOP favorite, it was included as one of the small luxuries recommended for the Mom going a million miles an hour. A Portuguese symbol of family and harmony, swallows mate for life and always return to the same spot every year to nest - treat Mom with a visit to your original nest and hand over this perfect piece. 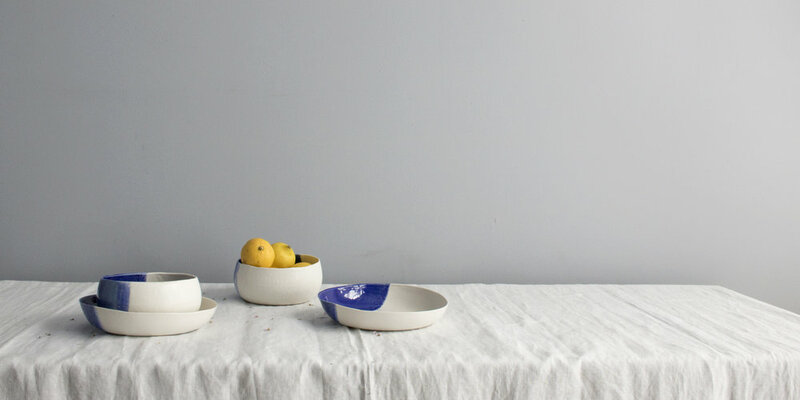 Porcelain serving bowl in a soft white with blue swallows. One of our favorite things to do with Mom is to just have a nice cup of coffee and catch up or ask for some advice. These porcelain mugs are special enough for mom and durable enough to go in the dishwasher. They'll be her new favorite mugs. Porcelain Mugs with a satin soft-white glaze. For the modern Mom, our Trapeza collection is a great geometric collection that brings a faceted sophistication to any room. 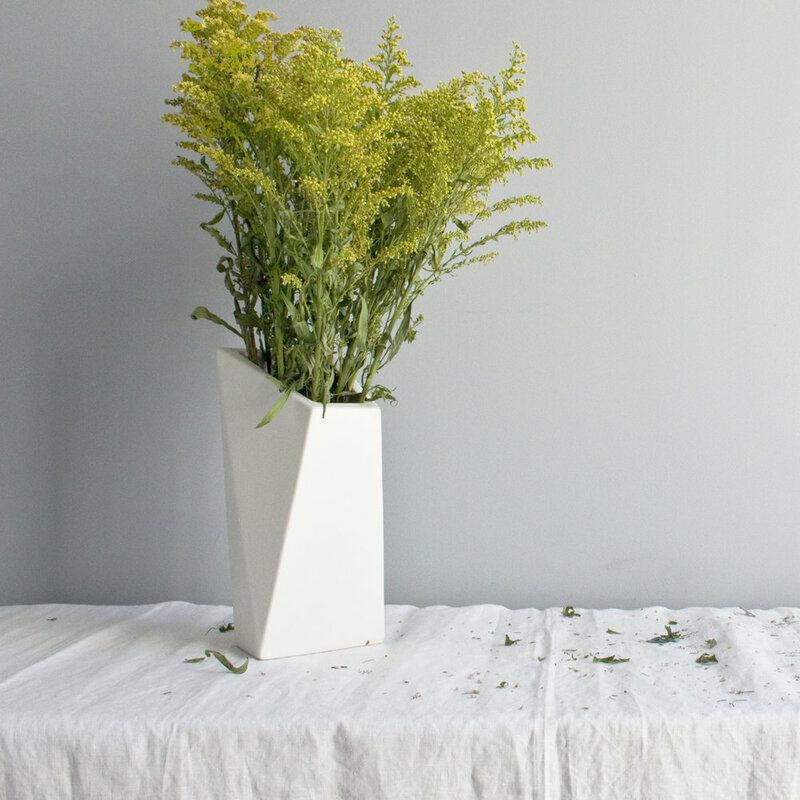 With flowers or as stand alone pieces, these sculptural vases look great from any angle. Earthenware vase with a satin soft white glaze. We're thrilled to partner with GOOP to present a collection of small luxuries for the Mom going a million miles an hour. The soft white porcelain collection features pretty blue swallows, an important Portuguese symbol of family, to remind us to return home as often as they do.